The Zuni Pueblo in western New Mexico is known for its distinctive handcrafts. 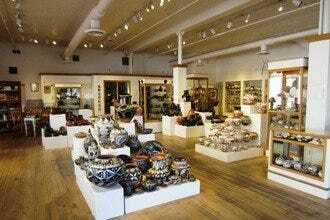 Keshi, subtitled "The Zuni Connection," is the place to go in Santa Fe for Zuni handcrafts. 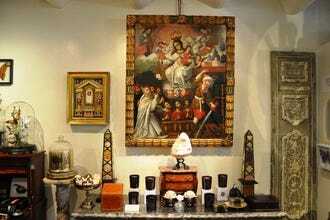 They're knowledgable about both Zuni art and the people who create it. They've worked closely with the Pueblo since 1981. The shop, which began as an artist's co-op, is now privately owned. 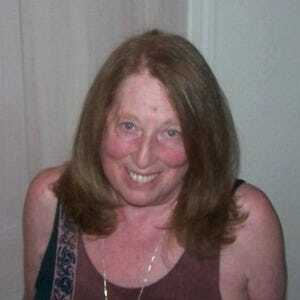 Robin Dunlap who taught at the Pueblo and helped start the shop became the owner in 1988. In 2002, she passed the reins to her daughter Bronwyn. 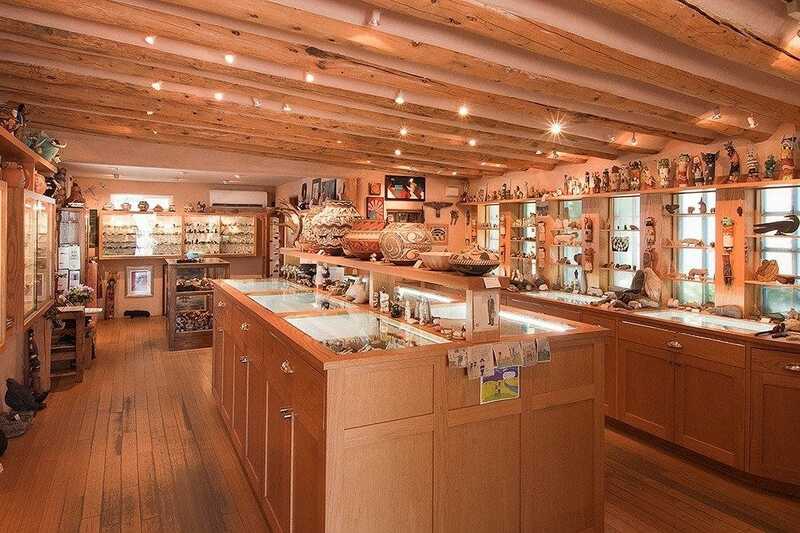 The shop is packed with carefully selected pieces representing the Zuni artistic tradition. The pueblo is known for fetishes (carvings of animals, primarily made from stone); fetish necklaces; inlay and petit point jewelry as well as contemporary pottery, paintings and Katsina dolls. Over 500 Pueblo artists are represented at Keshi. Christmas Shopping: "It's a great place for kids looking for a subsidized gift for parents or others. The staff patiently works with each child, explaining the wares, and helps them select the perfect gift. Children love the attention and feel great when they finally make a decision." 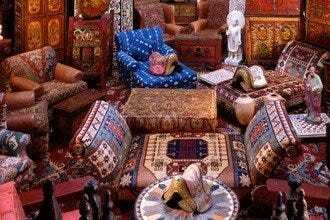 Best Shopping: "Don't know about Zuni art and handcrafts? Ask a lot of questions. They love to educate customers, even young children. about Zuni art. They can tell you about fetishes; what they mean, how they are made and the materials that they are carved from." 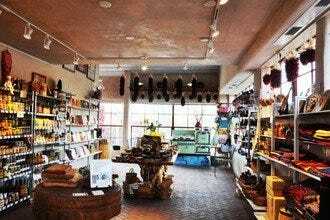 Best for Christmas Shopping Because: Keshi is packed with unique Zuni art and handcrafts that will make great gifts for special people. 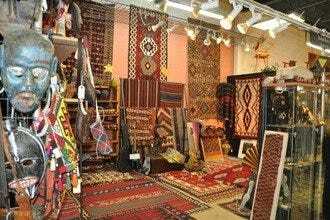 Recommended as Best Shopping Because: Keshi is the only shop in Santa Fe that focuses exclusively on Zuni Pueblo art and you can be sure everything here is authentic.